How Long Does It Take To Set Up A Deposition? Let Us Take Over. I’m not going to bore you with lists upon lists of things to remember when you are scheduling your first deposition… or third, or fiftieth. We’re not here to waste your time. We’re here to maximize it. 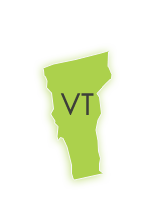 Discovery Litigation Services offers solutions beyond booking that Vermont Court Reporter. We handle the logistics, the hiring, the coordinating, and everything you need for a successful and smooth deposition. We’ll even book the conference room. Whether you are tasked with scheduling your first or one-hundred-and-first deposition all you need to remember is “Upload Deposition Notice”. Click schedule a deposition in the toolbar and upload your deposition notice. Discovery Litigation Services will handle the rest. Real Time court reporting is the direct, and instant translation of the court reporter’s shorthand into understandable text (such as English) transmitted immediately to a screen for viewing during the deposition. Why Is Real Time Reporting Necessary? Having a real time ready vermont court reporter is essential to the speed at which you receive your final transcript. As the deposition is unfolding, you are delivered an on-the-fly rough draft of the final transcript at an industry standard accuracy rate of 90%. With a high level of accuracy on the day, your Vermont court reporter is producing a “rough” transcript that is near completion. Having their work immediately viewable forces our court reporters to transcribe verbatim with less mistakes. A highly accurate rough court transcript means expedited official transcripts are the norm. You get your official record faster. With twenty-four-hour access to all of your deposition videos, exhibits, and invoices through Discovery’s secure web enabled repository and easy one-click deposition scheduling you’d swear you have your own Wormholes, Teleports, And Genies. Need to share a quick clip of your depo? Just reach in and grab it. Want high level secure access to manage your budget? Just click and you’re at your command center. Need to loop in an out of state party to the live deposition? We make it possible anywhere there is an internet connection - from your smartphone, tablet, or computer. The Discovery Litigation Services Online case management software allows you to quickly access anything you need. No more lost records. We offer a secure web based platform from which you can easily and quickly access the entire contents of your deposition materials, exhibits, videos, invoices, transcripts, statements, and more. With our Online Case Management Software you are at the helm whether you are in the office or operating from your phone on the road. Wherever you need to be, Discovery Litigation Services will follow. You don’t have to be tied to your office computer to enjoy the full suite of tools we offer. No longer do you have to be shackled to your desk to work effectively. You get unprecedented access and supreme control in guarding your bottom line whilst streamlining the entire process and thrusting it into the digital age. No more lost court records. You’ll have round-the-clock access to everything you need to win your verdict. Click or call to see what Discovery Litigation Services can do for you.